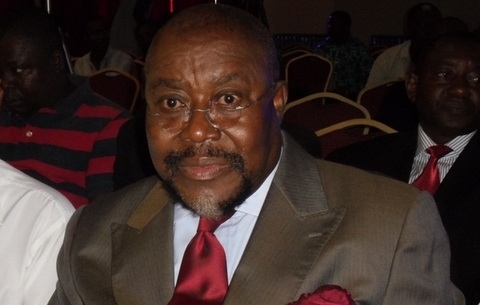 Former Chairman of the Ghana Football Association, Dr. Nyaho Nyaho Tamakloe says directives by government to investigate the Black Stars’ awful performance at the just ended World Cup in Brazil will not entice any sanctions from the Fédération Internationale de Football Association [FIFA]. “I doubt that FIFA would frown on the commission of inquiry,” he said on JOY FM’s Super Morning Show. Government has set up a Commission of Inquiry to investigate the Black Stars’ miserable performance at the just ended World Cup in Brazil. Newly appointed Youth and Sports Minister, Hon Mahama Ayariga last week announced a three-man committee headed by Appeals Court judge, Justice Senyo Dzamefe to look into Ghana’s World Cup fiasco but per a Constitutional Instrument (CI 82) which was gazetted on Friday, July 11, 2014, the committee has now been converted into a Presidential Commission with the powers of a High Court. However, there are fears this could incur the wrath of the world football governing body, FIFA. Dr. Nyaho Nyaho-Tamakloe explained that Ghana will only face sanctions from FIFA if the commission’s recommendation leads to vigorous removal of the FA officials from office. “…any commission set up by a sovereign government to go into the participation of its national team in an important event such as the world cup to unravel reasons behind the team’s abysmal performance, and other embarrassing issues arising out of its participation and to make recommendations to the appointing authorities, to me in principle, I doubt if FIFA will frown,” he said.